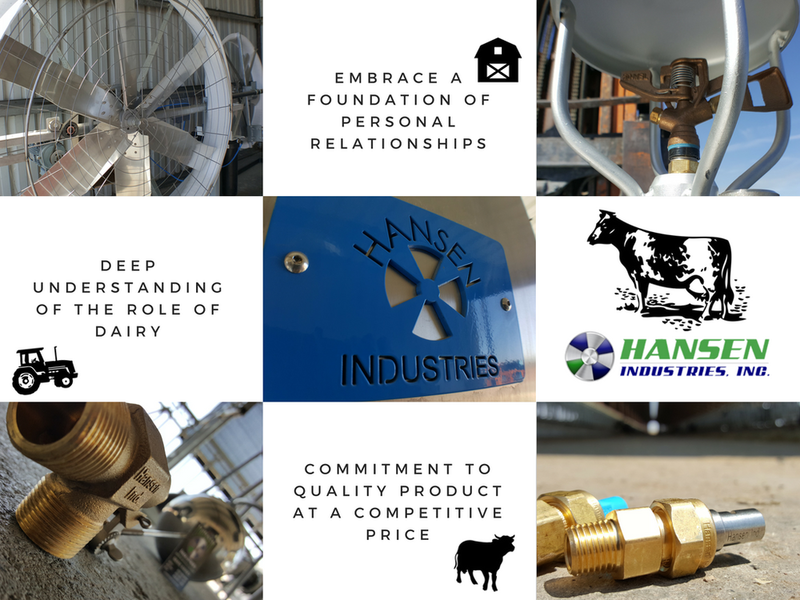 WELCOME TO HANSEN INDUSTRIES, INC.
We focus on building long-term relationships with our customers. Our top-of-the-line and competitive-priced products are made to help dairies run more efficiently, helping dairy men where they need it most. Have a look below and let us know how we can help you.